Have you ever felt lower than a snake’s belly, or ever thought you were a vile roach who encroached on the grace of God? Think again—flip through the pages of the Bible and you’ll see you’re on the receiving end of God’s gifts. In his letter to the Corinthians, Paul spoke of gifts in a different context. He said there are three that remain. Two of these, faith and hope, are great gifts, but it is the third gift, love, that Paul says is the greatest and reigns supreme. Through faith we believe the unbelievable, and hope sustains us when everything seems hopeless. Love, however, is the gift that allows us to love the unlovable and pardon the unpardonable. There are cultures and societies that are void of Christ’s love, have little faith, and are all but void of hope. The empty tomb really does make all the difference in the world. 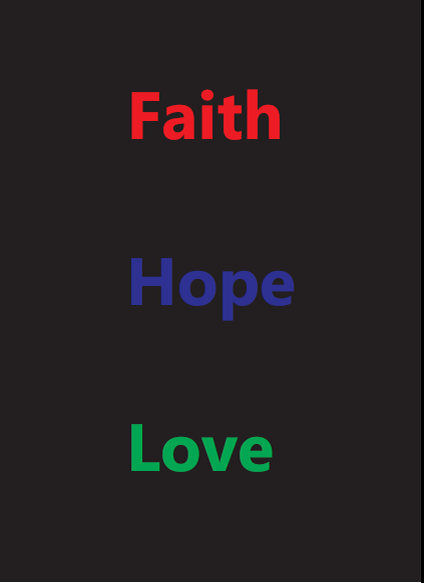 Because Christ rose again we have faith, hope and love–and all three are gifts your gifts from God.